VIU Volunteers! Thank you for your hard work! 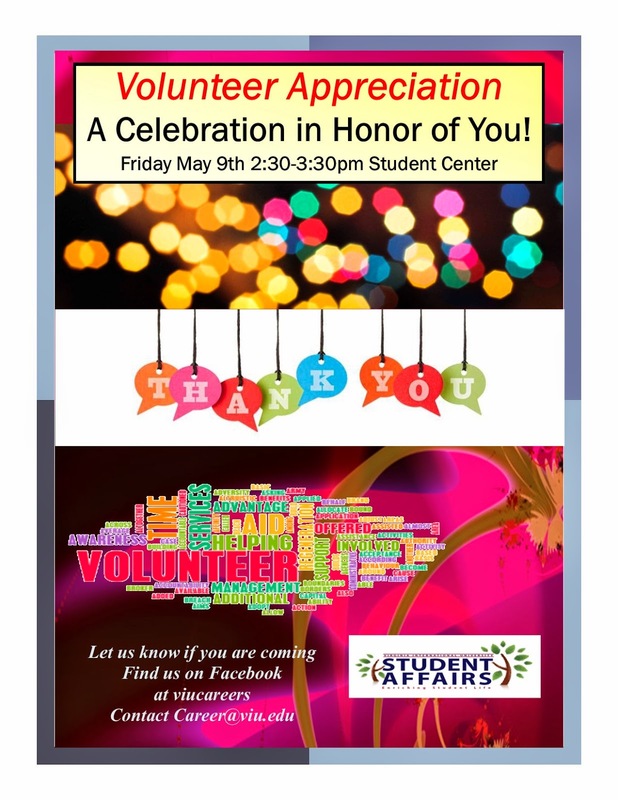 Just a reminder that the Volunteer Appreciation Lunch is coming up May 9th 2:30-3:30 in the student center! Please let other volunteers know, especially all those graduating. We want a chance to say goodbye! !